Yappingo, is an International Wholesale Carrier and a managed interconnect service provider, we are a leading operator in the Nigeria and Benin market. 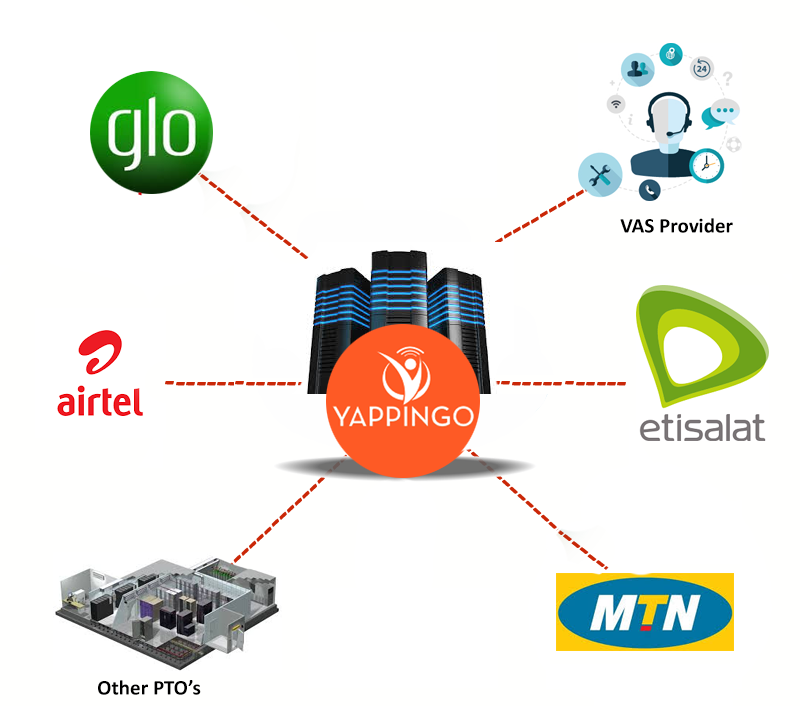 Yappingo is the preferred partner as a voice service provider for mobile, fixed and wholesale operators in Africa. Our focus market is Africa – currently serving Nigeria and Benin …..
We have an interconnect solution that enables both traditional telephony providers and VoIP operators connect carrier-to-carrier from anywhere-to-anywhere in the world. We have cloud hosting developed for you and also a flexible hosting solution for those who want a large internet infrastructure without the need for in-house equipment and resources. With highly flexible, the Equipment Housing Service can be designed to meet your specific needs. Copyright 2018 Yappingo. All Rights Reserved. All other company names, logos and trademark mentioned herein are the property of their respective owners, and its use does not imply an affiliation with them.